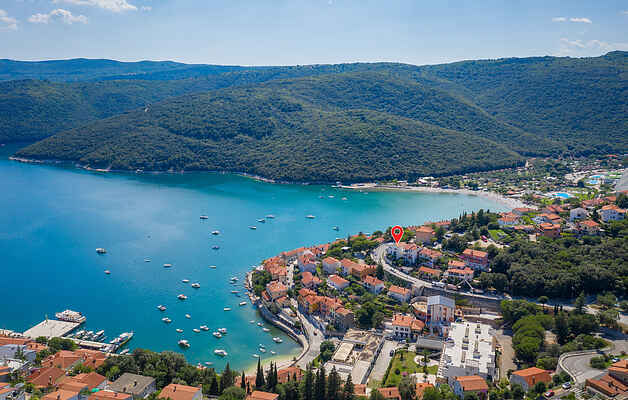 Spend your vacation in this beautiful holiday apartment in the centre of the romantic holiday resort Rabac. The accommodation is in the near of the beautiful beach and the promenade with many gastronomic offers. It is located on the ground floor of a family house and is the only apartment, which the friendly owner rents. Enjoy the splendid view of the sea on the terrace. Visit also the historical old town of Labin with numerous sights. From the bell tower of Saint Justus you have a wonderful view of interesting buildings, like the town gallery.